Are Pregnancy Centers liable for HIPAA compliance? 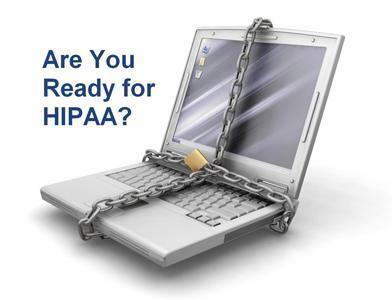 ARE YOU READY FOR HIPAA? Most Pregnancy Resource Centers have common, unencrypted, non-HIPAA compliant hosting for their websites. Frankly, in the earliest days of PRC non-profit orgs, there was no real medical services provided other than common urine pregnancy tests. As they did they did not really worry about things like HIPAA. As they have matured, many have become “Limited Medical Clinics.” Thus, comes the rules of HIPAA and digital record keeping. According to the HIPAA standard, if they are offering ultrasound, STD Testing and such, as a medical clinic, their client histories and client contacts will have to be fully private. For them, one way out is to separate their new patient appointment setting to go through a HIPAA compliant online form provider. This way, they can maintain their non-compliant websites and contact forms for general contact and clearly separating new patient contact to a HIPAA compliant form for handling their patient intake and interactions. Example: OSMCG.COM is a Sports Medicine and Surgical practice in Dallas, TX. They conduct all of their HIPAA records on a GE technology system and their mail routes through an Exchange server maintained by a group of medical practices. Thus, for their patient forms and contacts, we signed them up with a third-party such a the ones we provide through Practis Forms. How can a pregnancy center step into HIPAA without costly third party forms? Perhaps the broadest, easiest and least costly wan will be to establish a Practice Fusion account. It’s free and allows you to have a complete EHR/EMR HIPAA compliant system that allows patients to register online right into your EHR/EMR. Your patient Medical history could be entered on an IPAD or on their own Smart Phone while waiting in your office or to have them go online to your Practice Fusion form. This way, your non-profit can be completely HIPAA Compliant for all records and patient interaction.